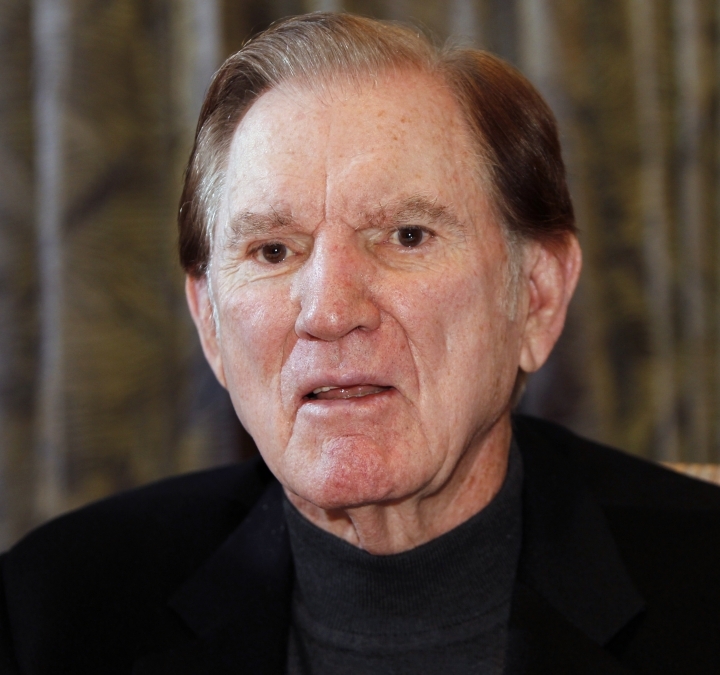 COLORADO SPRINGS, Colo. — Forrest Gregg, the great Hall of Fame lineman for the mighty Green Bay Packers of the 1960s that Vince Lombardi called the "finest player I ever coached," died Friday at age 85. Barbara Gregg said her husband of 59 years died in Colorado Springs from complications of Parkinson's disease. "I lost my sweetheart this morning," she said. "It's awful. He died in my arms." She said that in the last two weeks her husband received a constant flow of calls from former teammates and players telling him he'd made such a big difference in their lives. "I'm overwhelmed at the amount of people that loved Forrest, of the number of players that said he made men out of them," she said. "Forrest loved people. He loved everybody. He loved his children. He loved me. And it just broke my heart. My heart is broken." She said the funeral will be sometime next week in Colorado Springs and open to the public. Other survivors include their son, Forrest Gregg Jr., of Cincinnati, and daughter, Karen Gregg-Spehar, of Santa Fe, New Mexico. Hall of Fame president David Baker described Gregg, who was enshrined in 1977, as a "giant" who "exemplified greatness during a legendary career." "He was the type of player who led by example and, in doing so, raised the level of play of all those around him," Baker said. "Forrest symbolized many great traits and virtues that can be learned from this game to inspire people from all walks of life." The flag at the hall will be flown at half-staff in Gregg's honor. Gregg, who earned the nickname "Iron Man" for playing in a then-record 188 consecutive games during his career, was diagnosed with Parkinson's in October 2011. He quickly embarked on a campaign to raise public awareness about the incurable disease, urging others to seek treatment early enough to delay the degenerative effects on both the mind and body. His family and his neurologist said the disease may have been related to numerous concussions he suffered during his playing career in the 1950s at SMU, and from 1956-71 with the Packers and Dallas Cowboys. Gregg never blamed football for his health ailments, however. He refused to join concussion lawsuits against the NFL and said he still would have chosen to play the sport if he'd known there would be a hefty price to pay later in life. In an interview with The Associated Press in 2013, Gregg said he didn't begrudge those who sued the league, but he had his pensions from his playing and coaching days, and "I don't need anything from anybody but what I earned." 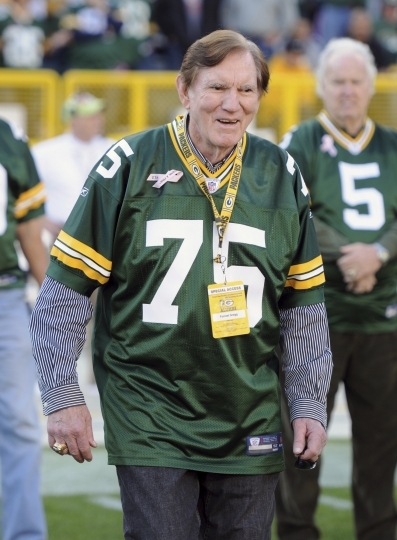 A guard and tackle, Gregg is one of four NFL players to win a-half dozen NFL championships, including the first two Super Bowls with the Packers. Gregg finished his career with another Super Bowl title with the Cowboys in 1971. The six-time All-Pro and nine-time Pro Bowler was elected to the NFL's all-decade team of the 1960s and to its 75th anniversary team. He went on to coach in the NFL for 11 years with the Browns (1975-77), Bengals (1980-83) and Packers (1984-87). Bengals president Mike Brown on Friday recalled his good friend as one who got the best out of his players. "He was demanding. The players didn't try to cut corners," Brown said in a statement. "They went out and did what they had to do, and what we were doing worked. We were somewhat ahead of the curve at the time." Packers coach Matt LeFleur tweeted a famous photo of a mud-caked Gregg and wrote, "I'd like to extend my deepest sympathies to the family of a true Packers legend, Forrest Gregg. This picture has been hanging in my home office for the last 10 years and serves as a great reminder of what a tough competitor Forrest was." After playing 15 NFL seasons, Gregg won 75 games as an NFL head coach and guided the Bengals to their first Super Bowl during the 1981 season, when they lost 26-21 to Joe Montana and the San Francisco 49ers. Yet, "the finest bunch of players I was ever around," Gregg told The AP in 2013, "were the courageous kids at SMU" that went just 3-19 from 1989-90. Gregg was hired at his alma mater to restore integrity to an SMU program that was handed the "death penalty" in the mid-1980s for paying players. They went 2-9 in 1989 upon their return and 1-10 the next year, after which Gregg became SMU's athletic director. "That was one of the most enjoyable times of my football life," Gregg told The AP. "Those kids restored dignity to the Hilltop." Going public with his Parkinson's diagnosis to promote understanding of the disease that affects more than 1 million Americans, "was probably helpful a little bit," said Dr. Rajeev Kumar of the Rocky Mountain Movement Disorders Center and the Parkinson's expert who diagnosed Gregg in 2011. "It's always good when somebody who's known and respected lends their weight to the importance of research and education." Gregg suffered countless concussions during his college and pro seasons, and Kumar said those may very well have been the trigger to Parkinson's, although there's no way to know for sure. Gregg continued to cast a dignified, larger-than-life presence even as the disease took its toll, stooping his once granite shoulders and turning his booming baritone into a halting whisper over the last few years. In his last interview with The AP he said he hardly recognized the NFL anymore because it was so different from the sport he played and coached. Despite that, his love for the game endured. He lauded commissioner Roger Goodell for making safety a priority and praised the league for enhancing its concussion protocol and cracking down on illegal hits to the head, measures he prayed would lead to less suffering as today's players age.